At an as-yet-unknown date sometime in 2013, Apple's Senior Vice President, iOS Software Scott Forstall will be leaving Apple. 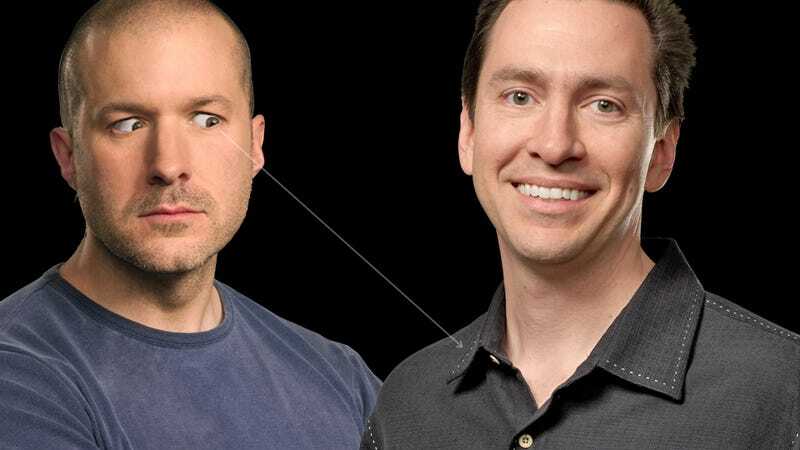 Forstall's role is being reduced immediately, and Jony Ive will be taking over leadership and direction for Human Interface. The other aspects of Forstall's position will be doled out to various other members of Apple's existing executive team. Forstall had been primarily responsible for Apple's increasingly skeuomorphic UI design, and his departure could very well mean that drastic changes in the look and feel of Apple's software aren't far behind. If you're attached to your virtual leather calenders and lined legal pad note applications, get ready to start letting go. Forstall was never particularly popular with the rest of the Apple crowd. Former associates of his have commented (anonymously) that he was "maddeningly political" and that he never quite got along with other executives, such as Ive who will now be taking his place. Many went so far as to say they pointedly avoided meetings with Forstall, unless Tim Cook was around to mediate. It's worth noting, too, that Forstall was in charge of Apple Maps, the release of which was a fiasco on a level uncommon for a company that prides itself on products that "just work." The company formally apologized, and there were no immediate internal repercussions. One can't help but think, though that the failure had something to do with this move. Especially when you pile it atop Siri, Forstall's other recent bomb. Receiving second billing on the Apple exec musical chairs was the move of Bob Mansfield to a new Technologies group, that will combine all of Apple's wireless devices—and semiconductor interests—into one seething mass of profitability. Craig Federighi will lead both iOS and OS X, tipping the march Cupertino has been making towards convergence since OS X Lion. Apple's timing for the announcement, incidentally, couldn't be better; a hurricane threatens the Northeast, Google and Microsoft made some of their biggest announcements of the year, the World Series just ended. If there was ever a time the world wasn't going to notice a major ousting at a high level in Silicon Valley, it's right about now.